Whoohoo! Someone to Love Me has found a new home, with Whiskey Creek Press Torrid! And you know what that means. Readers will be able to buy it in ebook and print. This book was the hardest novel I've ever written, as there's only two characters in the story until the last couple of chapters. It takes place in Alaska. More to come on the re-release date. 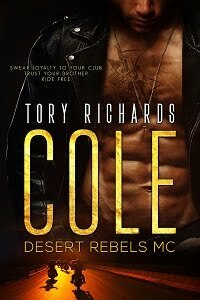 For those of you who might have read it when it first came out a few years ago, with New Concepts Publishing, content has been added and it is definitely hotter! You won't be disappointed. Congrats on your new home! *g* I'd love to read it in print, Tory! Great setting. I keep trying to talk my hubby into an Alaskian cruise. I've been on an Alaskan cruise and you will love it! We went dog sledding, took a go-cart ride into the wilderness, and a helicopter ride to a glacier, to name a few of our adventures while there. I'm going to go again some day. Didn't see any polar bears but we did see brown bear, and glaciers. And tons of eagles. They were beautiful. I tried to get out of the helicopter ride but the girls made me go with them. Being on a glacier was the most isolated experience of my life. Scary isolated. The whole trip was a blast though and I hope you get to go some day.